Home pageNews of ScienceBan it! Greenpeace enounced collecting one million signatures under the prefabricated internet petition calling for a moratorium on all new GM crops in the EU until a proper safety regime has been put in place by the European Commission. The European Citizens' Initiative was introduced by the Lisbon Treaty to empower citizens to directly participate in the EU legislative process. Once an initiative has attracted one million signatures from citizens who are nationals of a significant number of EU member states, the Commission, as a college, is obliged to give serious consideration to the requests made. (1) Why the recent "safety regime" is not "proper" and who will decide if it is "proper"? (2) What is the idea of those signing the petition about the nature of GMO and about EFSA? (3) Should the 80 millions of Europeans, who believe that eating a GM fruit will modify their heredity (as shown by Eurobarometer 2006), design the technology development in Europe? The collection of million signatures as a support of Greenpeace' Revelation Truth abou t the risk of transgenesis and incompetence of EFSA (European Food Safety Authority) is by no means a proof of their success in brainwashing propaganda. Some time ago there was another one - an internet petition asking labelling of animal product when the animals were fed by GMO. Naturally it was dismissed by Commission as 30 millions of metric tunes of soy beans are imported every year mostly from Argentina and Brazil. The presence of GM soya is evident and there is no other choice of protein source for animal production in Europe. Pigs and cattle are ignorant concerning the green ideology. Paul Herman Müller was awarded by Nobel Prize in 1948 for insecticide effect of DDT. The fact that it was cheap showed two sides: the bad one - it was irresponsibly misused in large quantities. The good one - even very poor people were able to utilize it in prevention from malaria. In Greek the two millions of malaria cases in 1930 was reduced to five thousands in 1951. More then ten out of hundred people used to die in Mauritius because of malaria. Practically no such case was registered in 1963. Thanks to DDT. The novel Silent Spring by Rachel Carson initiated the "public initiative" that put through the ban of DDT production. Results: In Sri Lanca the morbidity on malaria jumped to 2.5 million. Only in the province Kawa Zulu-Natal in South Africa the morbidity increased from 8 to 42 thousands. In the Year 2000 the increase of malaria mortality was 400%. Therefore EPA (Environment Protection Agency) in USA decided to resume the production of DDT for malaria prevention and the mortality dropped to zero. It is well documented how many people died just because of the green demand Ban it! Ingo Potrykus (Swiss Federal Institute of Technology) and Peter Bayer (University of Frieburg) developed the GM rice producing provitamine A in order to prevent blindness and death of p eople (mostly children) from avitaminosis A. There are hundred millions of people suffering in this way in poor countries where rice is the only source of food. 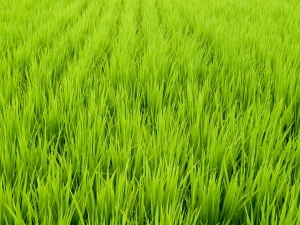 The GM rice variety called Golden rice was provided to the International Rice Research Institute in Los Banos (Philippines) on January 1 2001. After six weeks Greenpeace announced campaign against it. 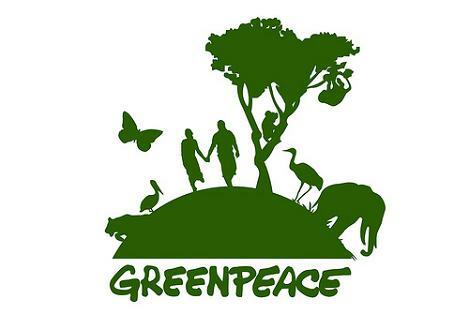 Emma Gibson wrote: "Greenpeace policy has not changed. Neither the moral nor the environmental issues have changed. Greenpeace is against any release of GM into the environment because of the potential risks; and Greenpeace reserves its right to take action to prevent any such release." Due to this, up to now people have been dying from avitaminosis and children get blind but Greenpeace are happy that their campaign Ban it was successful. The Czech Greenpeace organisation handed on April 13 2006 following letter to the minister of environment: "For the second time we are asking you to use the article 23 of the Directive 2001/18EC and issue an immediate ban the Bt corn planting before the sewing season." The ban did not take place. Instead Greenpeace launched huge propaganda to food producers and the demand for Bt corn has been depressed. Result: since then the area sprayed by chemical insecticides killing most of insects zoomed to above 50 thousand hectares. The European Citizens' Initiative is not approved yet. Therefore we shall wait for the response of European policy makers to the Greenpeace petition.